Veronica’s research focuses on the link between Business Strategy, HR Strategy and Change Management. She is particularly interested in the relationship between organisational change and individual transition. She teaches and consults on an international basis. Veronica specialises in working with large, mature organisations in collaborative research partnerships. A consistent theme of these collaborations is exploration of the challenges of corporate renewal and people transformation. Her most recent work has focused on the Repair of Trust following the financial crisis, culminating in a report for the CIPD “Where has all the trust gone?”. This research was undertaken within 14 organisations, including the John Lewis Partnership, GKN, Norton Rose, HMRC and a banking group. Before that Veronica was funded by SHRM in the USA to conduct a study comparing Employee Engagement and Performance Management in the UK, India and China and The Netherlands. Veronica has just commenced a new project with the CIPD, looking at Innovation and HRM. She is also launching the second phase of her Trust research, examining how to foster the development of trustworthy leaders. In the 1990s Veronica worked with Lynda Gratton on the Leading Edge Forum at LBS, after which she went on to found and direct the Change Management Consortium (CMC) which ran from 2002 until 2008. Members of the CMC included GSK, Ernst and Young, GKN, MOD and Kraft. Veronica is a member of the UK Government’s Task Force on Employee Engagement. 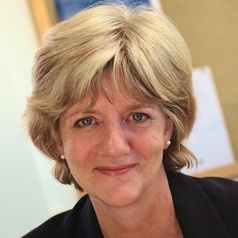 Veronica’s previous appointments include Associate Dean and Professor of HRM at Cass Business School, Professor of HRM at Cranfield School of Management and also a Fellowship at the University of Cambridge. Her publications include Strategic Human Resource Management with Lynda Gratton and Exploring Strategic Change with Julia Balogun which goes into 4th edition in 2013.